I have a little confession to make. Y'all know the WIWW wagon, the one where you make an effort each day to stop wearing comfy pants (whether yoga, sweat or ratty jeans), t-shirts and hoodies and make an effort to get dressed with more intention? Maybe even attempt to look cute and stylish? I'm kind of falling off of it. This past week I either repeated previous outfits, which is certainly bound to happen and there's nothing wrong with that, but I was kind of bored with myself and didn't bother to take any photos. Then I totally stopped making an effort, which is evidenced by what I wore most of Monday. 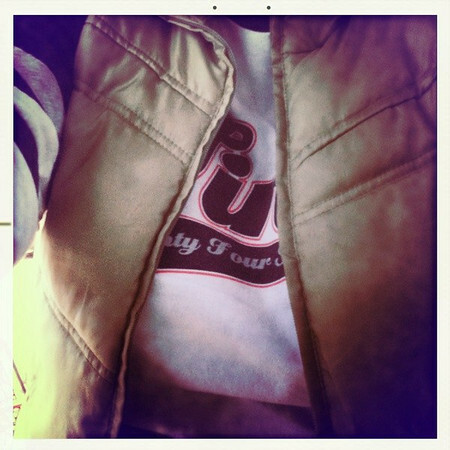 Why yes, that is a Tina Turner concert T-shirt circa 2000 and a green puffy vest (Target). 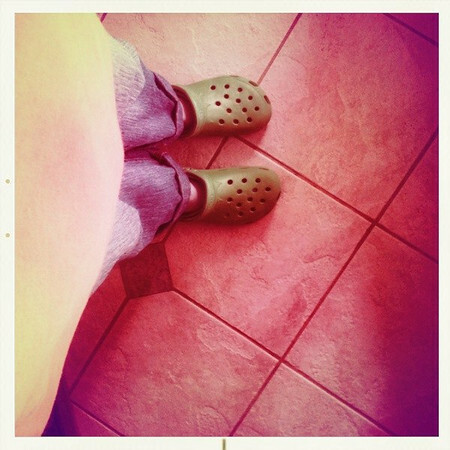 I continued to slide downhill Tuesday when I threw on a sweatshirt (circa 1997), comfy jeans and actually left the house in my stylin' green Crocs to take Annelise to school. Because I am nothing if not CLASSY. I promise to do better next week. At least a little. Thanks for stopping by for a visit today. 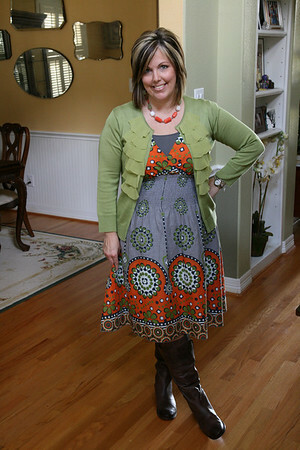 Be sure to pop over to The Pleated Poppy to see more What I Wore Wednesday posts! I get the Downeast catalogs in the mail and pretty much want to buy every single item, every single time. 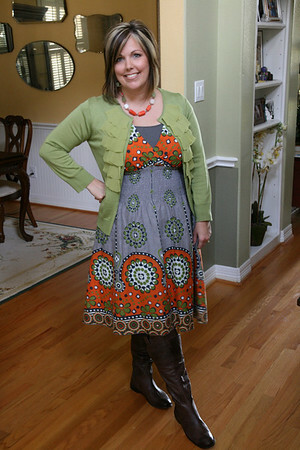 LOVE your dress and sweater - they look great on you too! Loving the Sunday outfit. We all have those "fall off the wagon" moments. really, sometimes you just don't need to be anything else but comfy! Love that dress & outfit. Nicely put together! Love the outfit and am now coveting boots. Darn it. I think of your outfits a lot when I am getting dressed. We have similar taste and you've inspired me! Some weeks are more effort-filled than others, and there's no shame in that.